Commissioned as a FORREST SHERMAN - class destroyer, the USS PARSONS entered the Long Beach Naval Shipyard, Long Beach, Calif., on January 1966, for conversion to a guided missile destroyer. 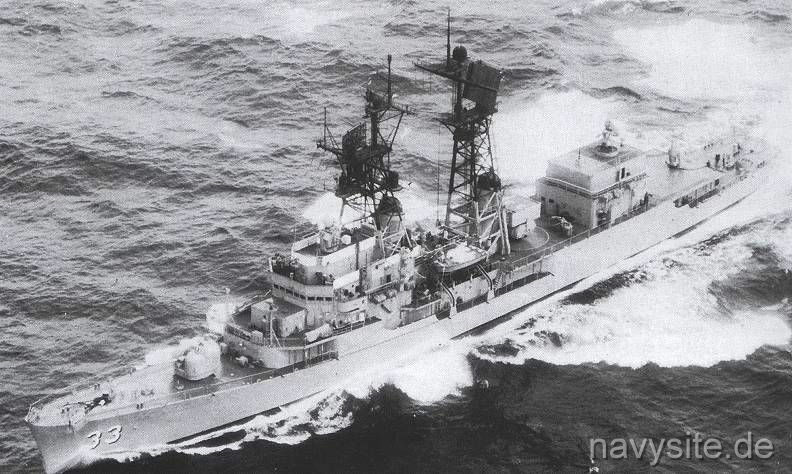 During the conversion, the PARSONS had 90% of her superstructure replaced and received the Tartar surface-to-air missile system and the ASROC antisubmarine rocket system. In addition, her engineering equipment was completely overhauled, and she received a lot of additional electronic gear. 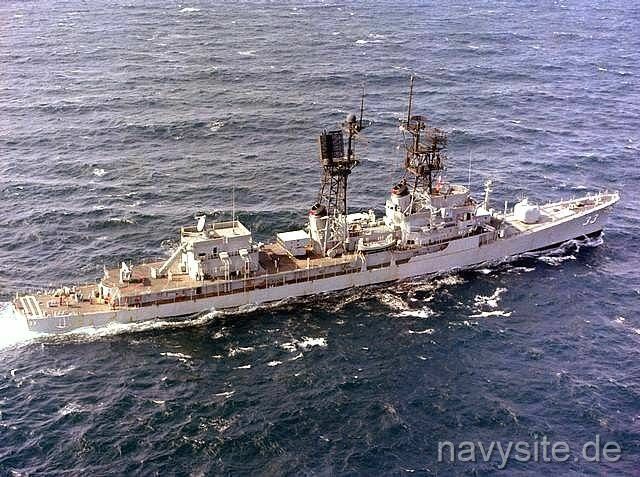 Conversion was completed in November 1967 and the PARSONS was recommissioned as DDG 33. 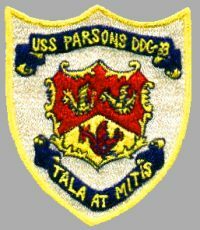 For the next 15 years, the PARSONS remained an active unit of the US Pacific Fleet. 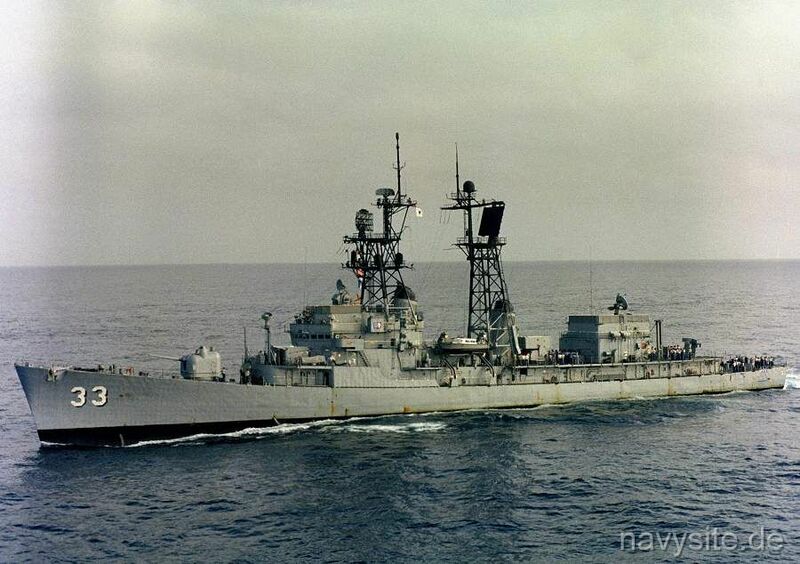 USS PARSONS was decommissioned on November 19, 1982. Stricken from the Navy list on December 1, 1984, the ship was finally disposed of as a target on April 25, 1989. Builder: Ingalls Shipbuilding, Passagoula, Miss. This section contains the names of sailors who served aboard USS PARSONS. It is no official listing but contains the names of sailors who submitted their information. Click here to see which USS PARSONS memorabilia are currently for sale on ebay. USS PARSONS collides with and sinks the Filipino fishingboat ORIENT. The ORIENT's crew is rescued.